Should we celebrate the tan line? - LA VELOCITA. I had the pleasure of chatting to Tony Prysten recently. Tony is the founder of Finde, a skincare/sunscreen range specifically developed for us cyclists. I was adding Finde to the growing pile of products we've got for review at La Velocita, when Tony asked a question that I had never considered, 'Should we celebrate the tan line?' Tony and I talked and we've combined to put some words together addressing this potentially life changing question. Head to Instagram and you’ll see images of some of the most precise tan lines on the planet. Perfect borders of distinctly different coloured skin. 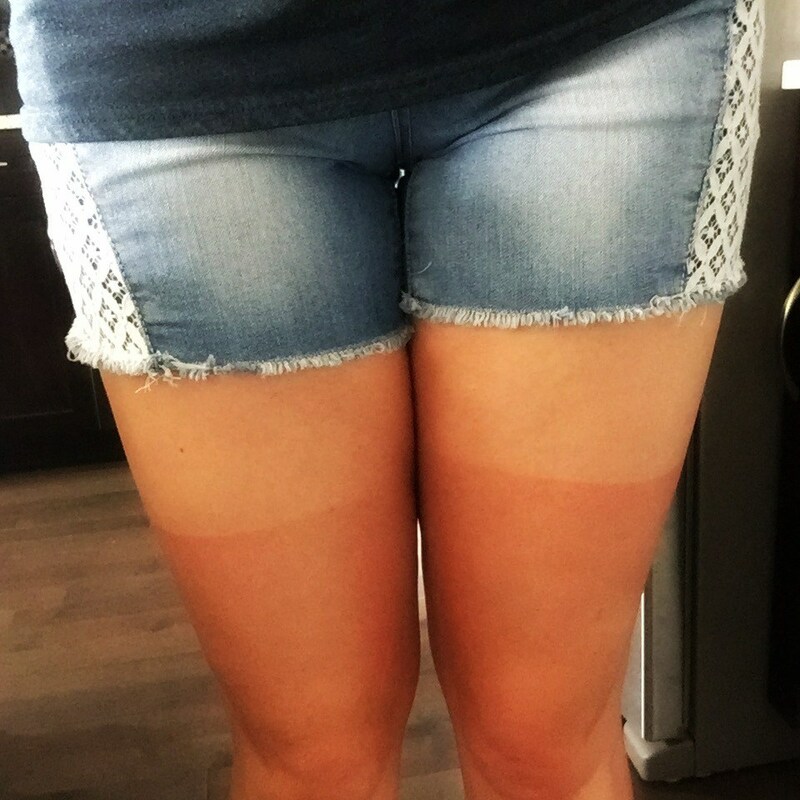 Many of these tan lines are worn as badges of honour, markings that can only be achieved by spending countless hours on the bike in blistering conditions. To many they are signs of toughness, being a warrior and commitment. 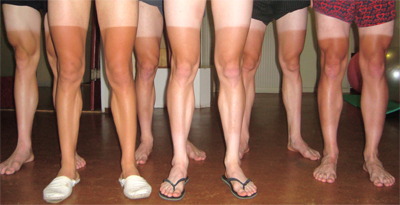 I’ve seen people wear casual clothes to display tan lines to cyclists and non-cyclists…. With the cyclists generally getting pretty excited by the display…. The non-cyclists are generally more quizzical and add this trait to the long list of oddities that us riders get excited about. I’m not innocent in this, I’ve found myself feeling proud of sharp lines around my thighs, ankles and arms… a brown face, arms and legs and a white white body. My wife viewed the look as ridiculous, and looking back it was and is. Chatting to Tony, he likens these images of tan lines to those of him smoking many years ago, a look that he how is disgusted by… The evidence was there but many continued to smoke in an act displaying indestructibility. The sun is no different, while we need the rays to provide us with some vital vitamins and warmth, there’s no getting away from the fact that it’s also a killer. Here in Australia, the sun is not something to be messed with. I’m now at the point in my life where I have two young children. There’s no way that I’d let them play out in the harsh sun for without protection, and in a moment of self reflection, I realised that I should treat my own body the same way. As cyclists we are out in the sun more than many, subjecting our exposed skin to some of the harshest environments. The Cancer Council Australia statistics tell the story, 'approximately two in three Australians will be diagnosed with skin cancer by the time they are 70’, not a diagnosis I’d be keen on receiving. So where to from here? We’ll we’ve all heard of slip, slop, slap, so do yourself a favour and get busy with protecting your skin. There’s a few simple things you can do to keep yourself protected. Sunscreen. Before a big ride get yourself covered. Face, neck, arms, hands, legs. If you’re wearing super lightweight lycra covers your body to. Go for the highest SPF you can manage. If you’re going to be out for a long day on the bike take a small tube off sunscreen and reapply every couple of hours at least. Kit. I’m strictly in the camp now where I won’t even consider wearing a kit unless it has the ability to offer solid sun protection. With today’s highly technical fabrics it’s simply unforgivable for manufactures to put out cycling clothing that does not provide a absolute barrier from the sun’s UV rays. If it’s not rated don’t buy it. Eyes. Wear good sunnies. Our eyes cop abuse from the sun and its point UV rays, wear good sunnies that block the rays from going in and protect the delicate skin around your eyes. You’re eyes are a very valuable asset so buy the best you can here. Extra protection. If you’re particularly fair skinned or just want to take extra precautions, there are some great long sleeve summer jerseys out there now. There’s also some good arm screens (not warmers) that will take the sting off your arms. Finally, don't rely on the helmet you're wearing to stop the sun (unless is a full aero no vented number). Wear a cap (not hat) and/or get some sunscreen on the top of your head. Lets celebrate pristine undamaged skin. I can't see... can anyone help me! The issue is I'm battling to find a solution that actually works... I need your help!